Welcome to the mysterious Orient - where a magical story begins and the geography blurs. Immerse yourself and discover Far Eastern bathing traditions and culinary delights. Enjoy traditional cleaning rituals in a special atmosphere. 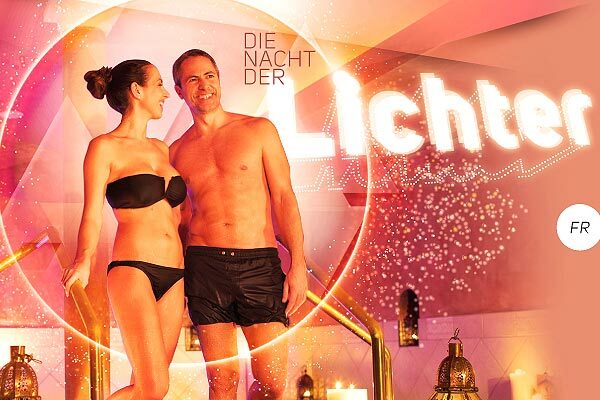 After various steam baths, a body cleansing with a peeling glove, a soothing stay in the relax pool and the purifying healing-earth, you can look forward to an oriental 3-course menu and an exciting show act. Relax and dive into a dream of 1001 nights. "Some call it Ladies Night, others call it therapy for the soul"
Every third Thursday of the month we invite you to a relaxing evening with your girlfriends. Let yourself be pampered as real ladies deserve and experience unforgettable moments. A special kind of girls' evening is waiting for you. Special infusions and body scrubs, nourishing facial packs and a surprise ladies dinner will make you forget everyday life for a few hours. You’ve earned it! Stop once and trust the five senses. Take care of yourself and your well-being and concentrate completely on yourself. 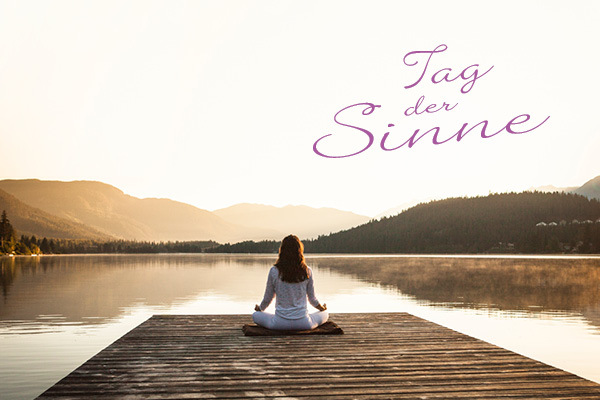 The Day of the senses it is about rest, relaxation and recharging your batteries for the often hectic daily routine. Original sauna infusions dispel stress and thoughts. Changing themes will appeal to your senses in a very special way and short massage offers will help you to unwind and relax. You can concentrate completely on relaxation at this all-day event without any elaborate backdrops and shows. Take the time you deserve. Let yourself be taken on a meditative journey. Your innermost is touched by the melodic sound and the vibrations of the singing bowls make your soul vibrate. With light vibrations, you notice how tensions and blockages are released and how your body comes to rest. They come in harmony with themselves. In harmony with the positive energy of the moon. 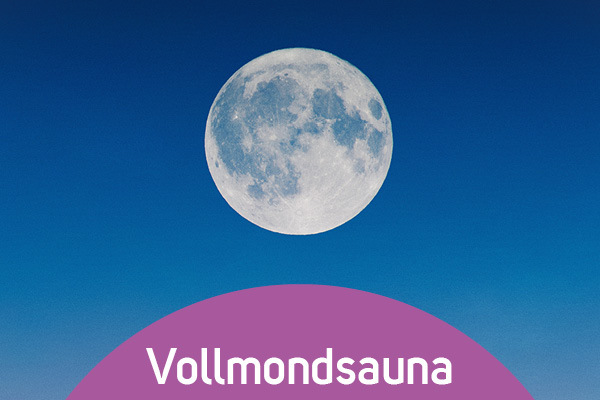 Feel the power of the moon and embark on a guided meditative journey. The pleasant sound of the singing bowls will touch your innermost and make your soul vibrate. Die Augen schliessen und den tollen Klang von grossen Klassikern geniessen. Every Monday, enjoy an extra hour’s stay and experience the aquabasilea Premium Water World in unique blue illumination in the air and water. 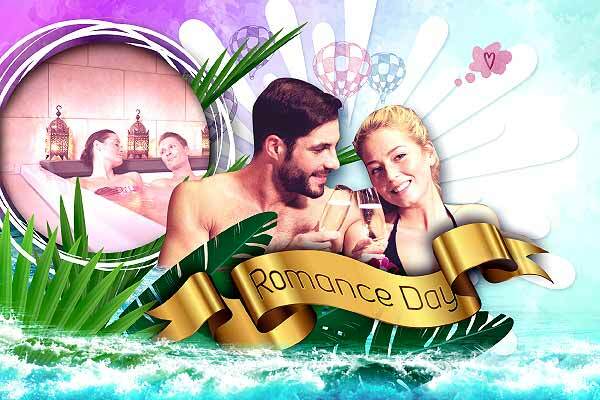 Every Tuesday, we celebrate a romantic evening for loving couples, from 6.00 – 10.00 p.m. in the swimming pool and up to 11.00 p.m. in the sauna. Our aquabasilea entertainers get them fired up. With music and fabulous water equipment. 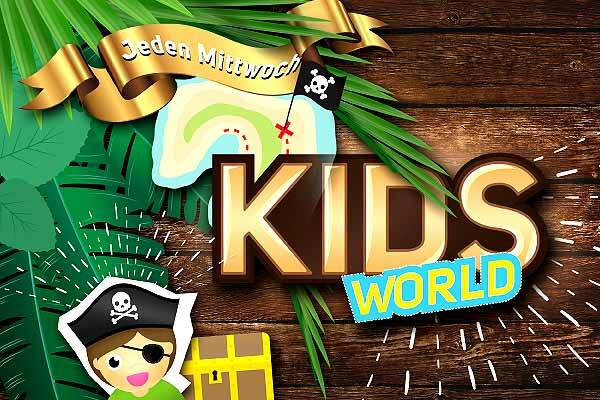 In children’s entertainment, amazing games are organised, as well as competitions with little non-cash prizes and lots and lots of toys to work off energy. A whole day of special features for the ladies. Relax, indulge yourself and enjoy beauty treatments in the company of your best friends, with a glass of sparkling prosecco and lots of fantastic offers. Enjoy a relaxing end to the week and experience our Sauna World by candlelight up to 11.00 p.m. every Friday evening. Vitality Happy Hour from 5.00 – 6.30 p.m.
Prosecco & wines Happy Hour from 5.00 – 6.00 p.m.
Every couple receives a free welcome drink. Prosecco & wine Happy Hour from 5.00 to 6.00 p.m.
Every first and third Friday of the month, singing bowl ceremonies take place during the Candlelit Night. 7.30 p.m. / 8.30 p.m./ 9.30 p.m.
Let yourself be seduced by the traditional way into the magical Orient and enjoy the highlights of 1001 Nights. 8.00 p.m. to 9.30 p.m.
We hope for your understanding that our hamam will be reserved exclusively for participants from this event from 6pm. The pampering evening program includes special infusions, a nourishing face pack in the spa area and, to conclude, a relaxed ladies dinner with a surprise menu. Please register in time on 061 826 24 25. The earth sauna is exclusively reserved for women from 6 pm on this day. 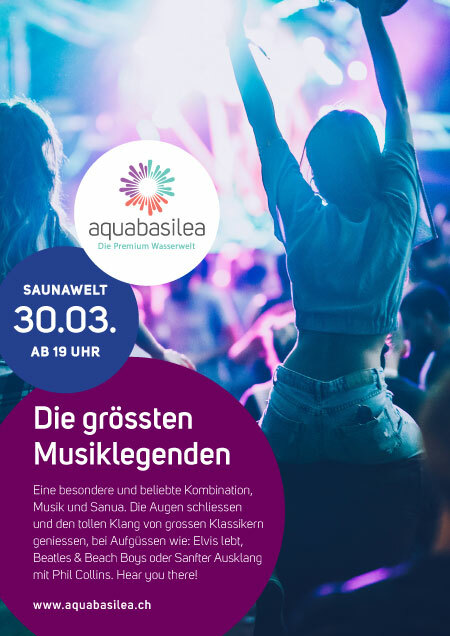 Please include changing rooms as the aquabasilea closes at 23.00. Enjoy unique, cozy and relaxing moments with Esther Miesch in the sauna relaxation room. At 6.30 pm, the first singing bowl ceremony will start for you. Following times can not be announced in advance, as Ms. Miesch adapts individually to the mood of the guests.